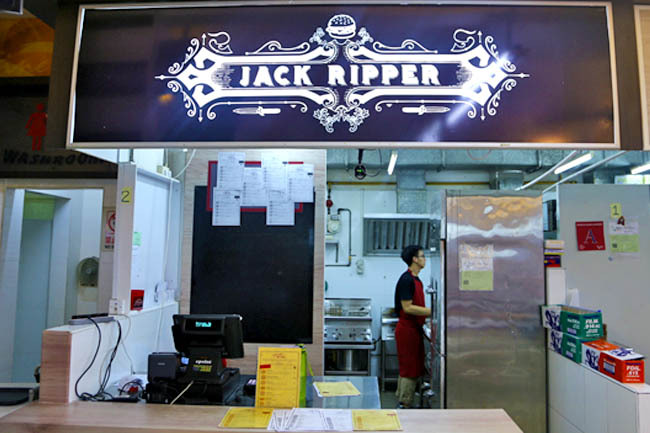 This is scary, a burger stall named after one of the most known serial killer ever. 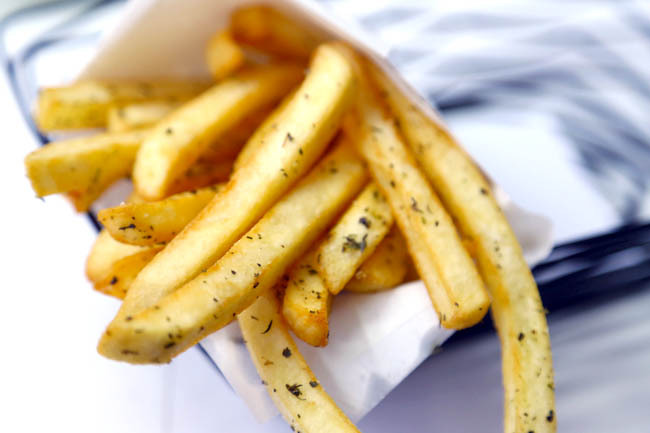 The burgers – Mary Ann, Annie, Elizabeth, Mary Jane and Catherine, are named after the actual canonical five Ripper victims. Am I the only person around who doesn’t even find this vaguely funny? 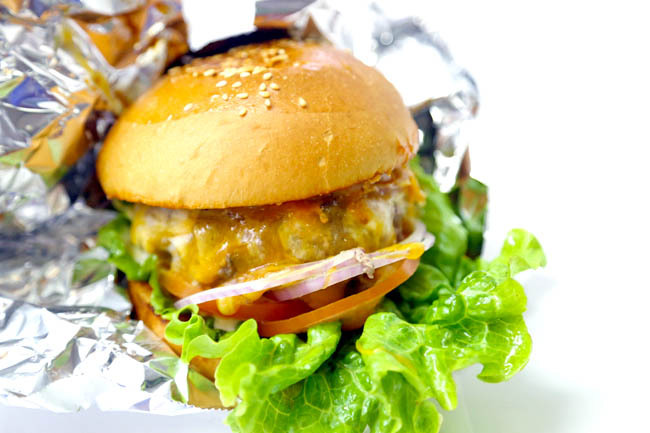 This burger stall can be found in the rather popular Salut Coffeeshop, sometimes known on the grounds as the ‘ang moh’ coffeeshop, also housing stalls such as Stew Kuche, Two Wings, Immanuel French Kitchen, Seasalt and In The Brickyard. Jack The Ripper has replaced The Travelling C.O.W. Out went the ramen burger. This is a collaboration between Absinthe’s Executive Chef Nicholas Reynard and Stew Kuche’s owner’s son (who also owns the kopitiam). 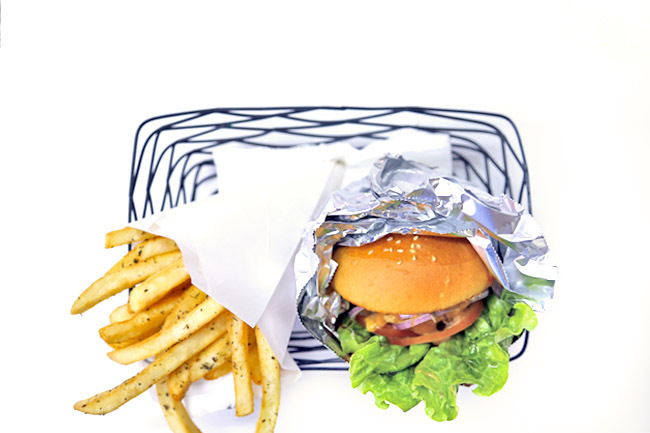 Jack’s standard Fairy Fay Burger ($16, note GST not included yet) includes 150 grams of beef patty, cheese, romaine, tomatoes and fries. A double-patty Emma and Martha goes for $25.70 after taxes. Not kopitiam prices. And I cannot remember the last time I have to pay GST at a coffeeshop stall. The best part of the burger was the oozing cheese. The beef patty rather moist and juicy. I wondered if some sauce went MIA, plus the patty itself wasn’t very much flavoursome. Bun was drier than expected. We read some positive reviews here and there though. Maybe I will be back. It’s a weird kind of concept for a burger bar, but I guess in SG you have to be unique in the fast food industry to stand out from the crowd. I wonder Daniel, if you can review MeatLiquor soon. 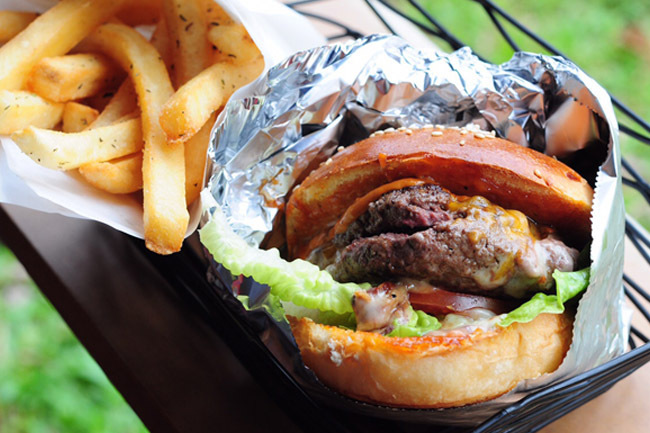 That is one of my favourite burger places back home in London and they’ve just opened in Singapore.